Spring is here, and for many of us that means taking some time to get some spring cleaning done. It can feel overwhelming, but it needn’t be.  Today The Vue Apartments Blog has some tips for getting organized and ready to tackle some cleaning at your Fitchburg, Wisconsin home. We like the plan presented by The Flylady. She suggests starting with the kitchen sink, and going from there, cleaning by zones. By doing a zone each month, eventually you will hit all of the heavy duty or spring cleaning areas without stressing over it. Some additional cleaning tips include putting together a portable cleaning kit you can take from room to room, or storing all of the things you need to clean with in each room. Molly Maid has put together a list of basic cleaning supplies that will help you keep your apartment in tip-top condition. As you tackle the cleaning, take time to declutter each area you plan to clean. Getting rid of the clutter makes it easier to get the cleaning done! An easy way to declutter is to sort all items in an area into these categories: 1) keep, 2) give away/sell, and 3) throw away. Having a “home” for everything helps to keep the clutter down. Consider getting rid of two items for every new thing you bring into your apartment. Give yourself a deadline on the give away/sell items. If you hit the deadline, toss them. If you’re having a difficult time deciding whether to keep something or toss it, ask yourself, do I really love this item? Your emotional response to this question is a good guide to follow in determining whether to keep or toss. To help you stay on track, this spring cleaning checklist may be helpful — or, another option is to hire someone to come in and do the cleaning for you! We turned to Yelp for some suggested cleaning services available in the Fitchburg, WI area. However the cleaning happens, enjoy a fresh apartment this spring! Thanks for reading today’s post.